The best places to stay are hard to find. We provide an ample list ranging from the full service and comfort of a hotel to the economic benefits of a flat-share for those looking to stay longer in London, ensuring that you have a fantastic stay in London. 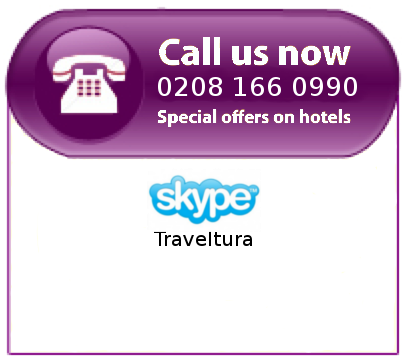 Browse our vast array of London hotels, hostels, apartments, timeshares and flat-shares, or give one of our friendly staff a call for advice. Whether budget or five star, quaint bed & breakfast or posh West End suite, hotels are the obvious choice for those staying in London short-term. Our London hotels provide all of the conveniences you'd expect on your travels. 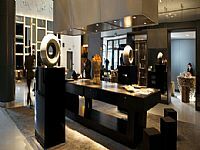 Peruse our selection of hotels in London which cover every area of England's extraordinary capital city. First time in London and not sure where to stay? Call our helpful staff for advice. For those looking for the self-catering facilities of home, our London studios and apartments are perfect for short or holiday let. Whether you prefer quiet neighbourhoods or the pulse of the city’s heart, we provide accommodation in all areas of London. Let apartments for the holidays and enjoy London like a local with the self-catering facilities and privacy of home. 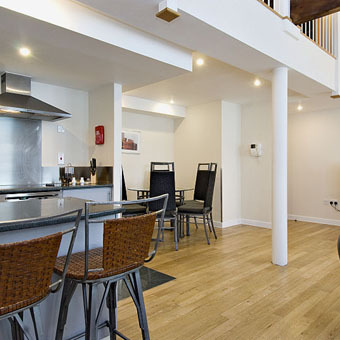 Our London studios and apartments are perfect for your next trip to London. Every seasoned traveller knows that cheap accommodation is a vital part of stretching your budget. Fortunately, hostels in London are a dime a dozen. Save your cash while meeting new people from all over the world in our London hostels! There are hostels in any part of London, so take your pick. Our London flat-shares are the perfect compromise between long-term accommodation in London and a modest budget. The concept is simple, you pay for a room in a flat and share its facilities (kitchen, living room, bathroom) with others! For those new to London, what better way to establish an instant social network? All bedrooms in our London flat shares are completely private and lockable. Also, each London flatshare is completely furnished and fitted with a fully equipped kitchen so no extra costs are incurred.